Stockings hanging over the mantle for the Christmas Holiday are a great sight. Of course, having those stockings filled with fishing goodies always looks better! Bass Assassin is a perfect holiday stocking stuffer idea. Check out some of these great Bass Assassin lures that would fit perfectly in your angler’s stocking this Christmas. Based out of little old Mayo, Florida since 1988, Bass Assassin is synonymous with making quality fishing lures that simply catch fish. It doesn’t matter if you’re a freshwater kayak angler or a saltwater kayak angler, you’ll find quality lures that always produce on the water. 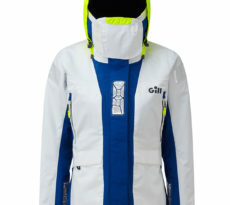 Who can argue with Made in the USA either! 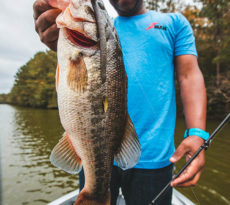 Built for pairing with heavy punching gear, the Bass Assassin Heavy Punch Craw (HPC) delivers a bite-inducing craw imitation that is right-at-home underneath matted vegetation. Designed with a round, ribbed construction, the Bass Assassin Heavy Punch Craw provides more-than-enough body to accommodate larger gauge hooks. At the top, the Heavy Punch Craw (HPC) is shaped with a pyramid-like taper that snugs nicely against concave punch weights. Delivering multi-dimensional attraction, featuring two large, flailing claws that move plenty of water and are built to accommodate a rattle. Infused with a heavy dose of our BANG scent, the HPC tempts fish with a mouthwatering aroma right out of the package. 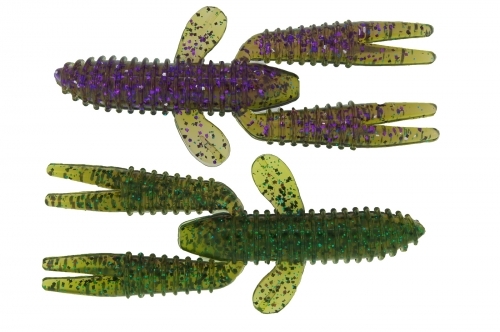 Offered in a number of classic bass colors, the Bass Assassin Heavy Punch Craw provides everything anglers need to dive into the slop and wrestle big bass into the boat. The 6″ Ding Dong have our Combo BANG scent and our liquid salt infused in them, so you know that they work. They also have a very unique tail that gives you unbeatable action! 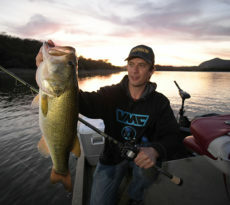 Our new Ding Dong as well as any of our new BANG Lures are guaranteed to give you the fishing experience of a lifetime! Mac Daddy Inline Spinner Combo. Bass Assassin’s brand new super-duper redfish killer! Our new Inline Spinner is rigged with our 1/4 oz. Long Shank Jighead-specially made for our 5″ Saltwater Shads. These are by far the best redfish and trout baits ever built!